Are you feeling stuck and unsure of how to move your dreams forward? Have you been putting off taking the steps to do what you love? Do you even know what your deepest dreams are? I had a dream of leaving the US and living in another country. I sold everything I had and started this travel blog. It took many years for me to learn how to uncover what my real dream was and to make it happen. Dream Catcher: The Magic Of Living Your Dream Life will show you how to be in touch with yourself and your dreams. It gives you the steps to face your fears and to follow your dreams to reality. You can live your dream life now. You don’t have to put it off anymore. Dream Catcher will cause you to look at your own life and to create it to be the life that you want to be living. Life is short and you deserve to get everything out of life that you want to. Dream Catcher gives you the steps to do just that. Following your dreams does cause change and most of us are scared of change. We want life to remain comfortable. But life won’t remain comfortable when you follow your dreams. 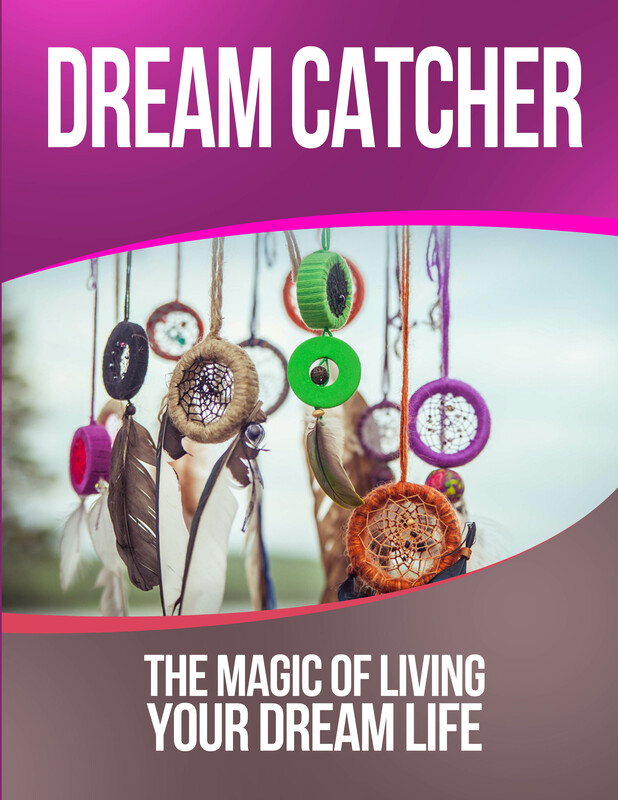 My book Dream Catcher will shake you up, strip away the dreams you thought you had and give you the dreams that you need. It will cause you to go deeply inwards, know yourself more as a person, step into the uncomfortable zone, and cause you to change into something better. You might not recognize your life afterwards because you will have created something beautiful. And that something beautiful will be the life that you really wanted for yourself not the life that someone else wanted you to have. So are you ready? Are you ready to bravely step into your dream life? The world is waiting! I have had a very indulgent Saturday morning lying in bed reading your book. Perfect timing! I am about to take that giant leap of faith and follow my dreams. I was having some serious doubts this week about giving up my job but after reading your book I have come to realize that those doubts were just a manifestation of my fear. You are so right in your statement that we will always find a way to survive and be happy if we face our fears and follow our dreams. So thank you for providing me the kick up the are I needed to jump. Here’s to a great year of change and dream realization. A friend of mine Cheryl has been very unhappy in her life for the past year, due to a string of unfortunate events(bad men in her life, losing her job etc.) , and really wants to change thing , stir it up. Feeling a bit sorry for her. I came across this well written piece of script from Valen Dawson after trawling Amazon for days. I found that her advice on “Letting go of fear” and “Take action” totally invaluable and along with her chapter on “Know yourself”. I lent the book to Cheryl and she to feels that she now has a guide on how to combat her fears, let go and find herself. She has thanked me for this book, but I truly must thank the Author for a brilliant guide. I had never even heard of Valen Dawson before I purchased this book, so it was on a complete punt when I purchased this book. I liked the list of contents and am very happy that it has lived up to what it offered. My life is in a bit of spaghetti mode at the present moment and needs some guidance. The hardest part is letting go and I feel that her chapter on letting go offers invaluable advise. She has given me a brilliant check list on knowing what I want and why I want it. If you need some direction in your life this little classic is it.